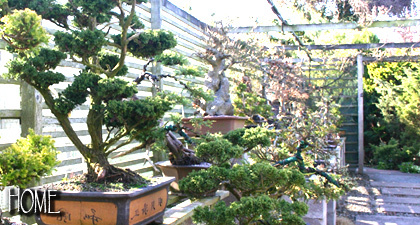 Wyndcote Bonsai supplier of bonsai pots, bonsai tools, bonsai feed, bonsai soil and bonsai accessories at competitive prices. 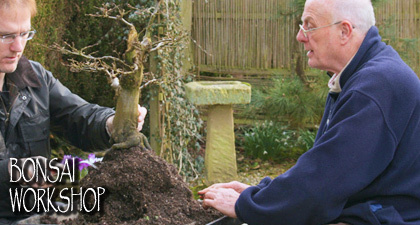 Combine this with our free advice and make growing your own bonsai affordable, accessible and enjoyable. 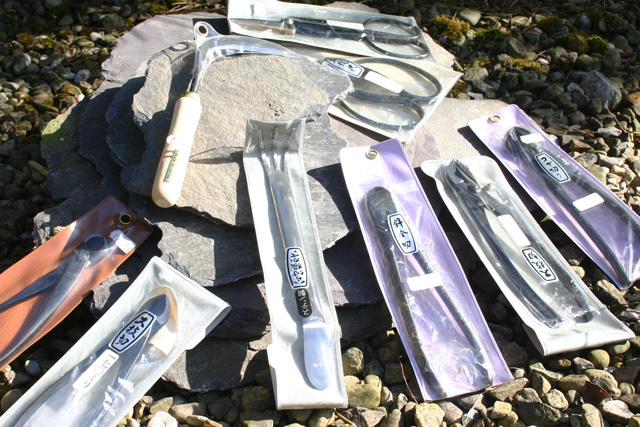 All the pots, tools and accessories we sell are the same as we use ourselves, after 18 plus years in the business, we are able to judge quality products when we see them. 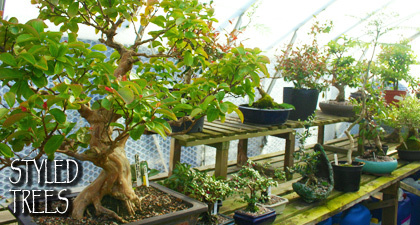 With more than 200 bonsai pots in stock there is sure to be something that meets your requirements. 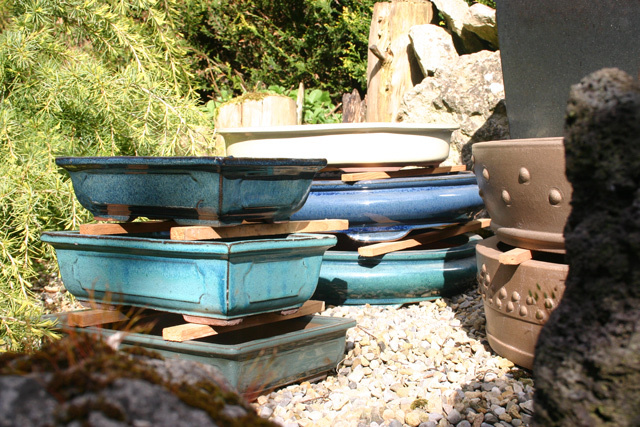 Our stock of bonsai pots include cascade, round, square, rectangle, and oval designs ranging from 10cm to 100cm in width and come in a multitude of colours. 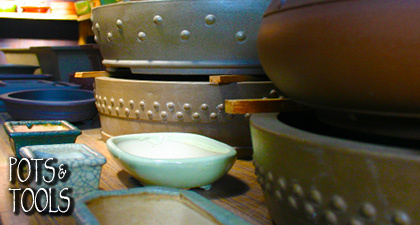 If we haven't got a pot that suites your needs, we can usually get one for you. We have a comprehensive range of high quality Japanese bonsia tools including long handled bonsai pruning scissors, branch cutters, knob cutters, bonsai pruning shears, re-potting scythes and rakes. 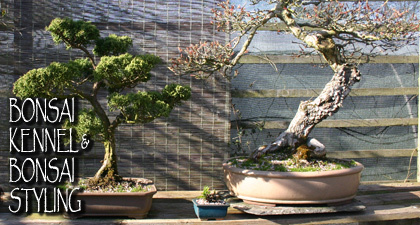 The type of feed you need depends upon the type of bonsai and its location (indoors or outdoors). 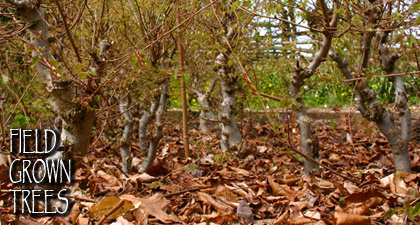 Wyndcote Bonsai stock a variety of bonsai feeds to suite your bonsai needs. We stock wire (either aluminium or copper) from 0.6mm to 6mm in diameter in 100gm or 500gm packs. 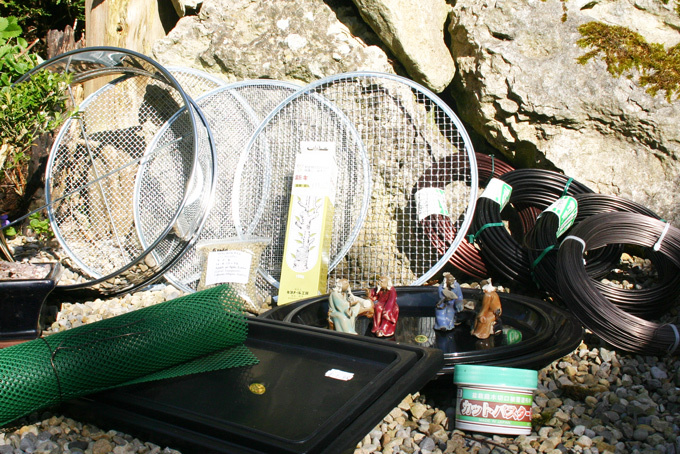 We have a comprehensive range of Bonsia accessories including sieves, mesh, knives, turntables and sealant to name but a few.